Expressing the government's firm commitment to deal with the NPA problem, Financial Services Secretary Rajiv Kumar said on Tuesday that RBI's revised guidelines will help clean up the bad loan mess in one go within a strict timeframe. "It is a wake-up call to defaulters. Government is determined to clean up things in one go and not defer it. The resolution now will happen within a timeframe," he told PTI. The latest notification issued by Reserve Bank of India (RBI) last night has also withdrawn the existing mechanism which included Corporate Debt Restructuring Scheme, Strategic Debt Restructuring Scheme (SDR) and Scheme for Sustainable Structuring of Stressed Assets (S4A). "All four restructuring schemes were available earlier when IBC (Insolvency and Bankruptcy Code) was not in place. The revised norms are a more transparent system for resolution," he said. "We don't see much impact on provisioning. Growth (loan) is intact as more capital will be available through sale of non-core assets," he said. Banks still have 180 days to resolve stressed assets. Gross NPAs of public sector and private sector banks as on September 30, 2017, were Rs 7,340 billion (Rs 7,33,974 crore) and Rs 1,029 billion (Rs 1,02,808) crore respectively. Commenting on the new norms, bankers said RBI wants IBC main tool for resolution where banks fail to reach a consensus. "RBI now wants IBC to be the main instruments for the resolution of stressed assets where the banks are not able to work out any other resolutions," SBI managing director (retail and digital banking) P K Gupta said. Reporting will have to be done to CRILC for borrowers having aggregate exposure of Rs 50 million (Rs 5 crore) and above. This reporting will have to be monthly effective April 1, 2018. Further, lenders will have to report borrowers above Rs 50 million (Rs 5 crore) on a weekly basis every Friday, starting February 23, 2018. Board approved policies are to be put in place for resolution of stressed accounts along with timelines, said Sapan Gupta, Partner, Shardul Amarchand Mangaldas. He added that as soon as there are any default steps should be taken as per the policies to cure the default. Union Bank of India managing director and CEO Rajkiran Rai G said: "If you look at long term, it is very good move. We had several kinds of schemes and none of them has really worked but for postponing and bunching up of issues together. The approach is to take the issue up front and finish it. "It is the way the banking should evolve so that you don't hide anything or you don't control NPA. Now the reporting (of NPAs) will be very prompt,". 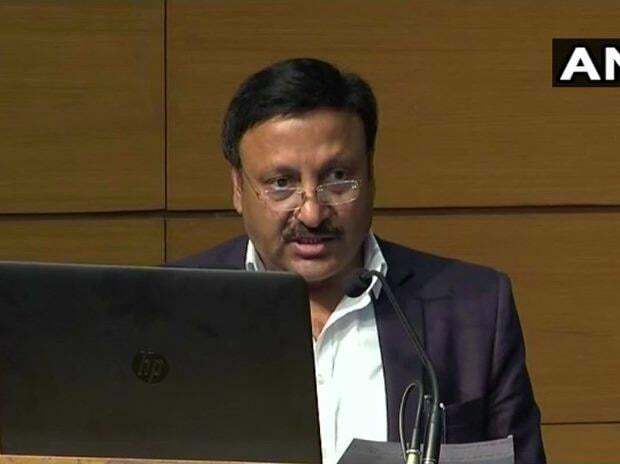 Siby Antony, Chairman, Edelweiss ARC said: "So far all the restructuring like S4A or SDR, had many conditionalities and eligibilities, but now that has been removed. Now RBI has made the framework very simple and generic." For the last 17 years, one had 28 circulars giving different schemes and guidelines. Now, all these 28 circulars are withdrawn and all good part of this earlier circular are subsumed in this new circular, he said. He said one challenge in the new resolution plan is that the 100 per cent of the lenders should agree for the resolution, they should sign the document and they should implement it, which means it should get reflected in their books.